You need tools to make sounds to entice a wild turkey into shooting range. There are a variety, and if you ask veteran turkey hunters, they’ll give you their opinion as to which is best. While insight from the experienced hunter is important, you’re going to need to demo, practice, and decide for yourself. 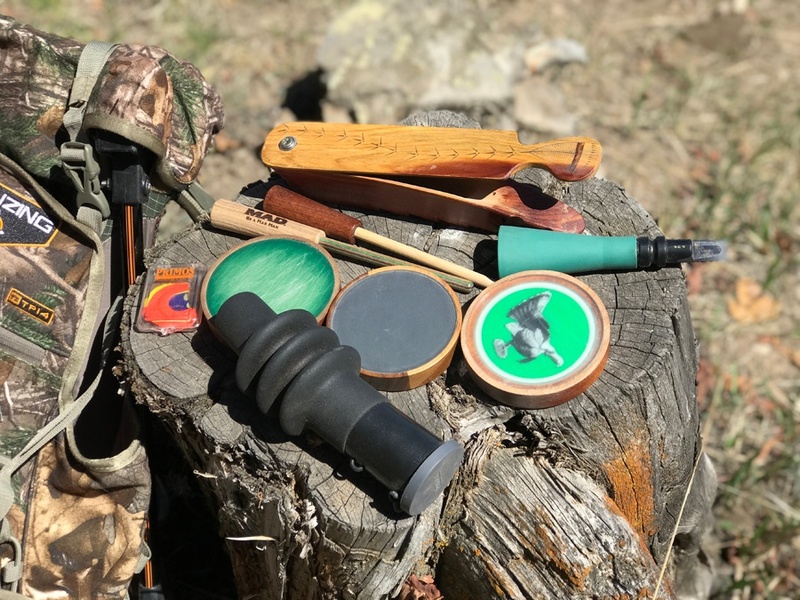 Pot calls, mouth reeds, box calls, and others need to be staples in your hunting vest. "What the heck are those," you ask? Allow me to explain a few of them. These calls are also known as friction calls. The pots are mostly round in design and fit in the palm of your hand. The faces are made of slate, glass, aluminum, and other materials. The base is made of hardwood, and the face is embedded into it. In addition to the pot, you need a striker. The striker is drug across the face of the call, creating friction, to emit a sound. Hold the call in the pads of your fingers. If you’re right-handed, hold it in your left hand; lefties, hold it in your right. Lightly grip the striker, about an inch from the tip, in the opposing hand. Place the pad of your striker hand on the edge of the pot then touch the striker to the surface. Gently move the striker in a pattern as though you’re writing hash marks on a piece of paper. This will create a “cluck-cluck-cluck” sound. Softly dragging the striker in a tiny figure-eight pattern will emit a soft purr. A short-rapid twitch will emit a putt. Reeds are diaphragm type calls that you put in your mouth. You use your breath to emit various sounds. These are a favorite for solo hunters as it frees up your hands to hold your shotgun in position. Using mouth calls also allow you to continue calling when a keen-eyed wild turkey comes into view. A turkey may see your hands manipulating friction or box calls. Pop the reed in your mouth, with the rounded portion toward the rear and the flatfish side toward your lips. The sides should touch your front bicuspids. A common complaint from new reed users is that they feel as though it’s going to make them gag. This could be caused by placing the call to far to the rear of your mouth. To alleviate this problem, move the reed closer to the front. If that doesn’t help, trim the rear of the reed, so it’s more football-shaped, rather than half-moon shaped. Once you have a good fit with your reed, you can work on emitting sounds. Press your tongue on the call, gently, to seat it in your mouth. Exhale and push the air between the reed and your tongue. You will start to hear sounds. It will take practice, but eventually you will be able to cluck, yelp, and putt. The best place to practice with mouth reeds is while you’re on a drive by yourself. Walnut, cedar, cherry, and other woods are used to make box calls. They’re named as such because of the wood-box bottom, which is accompanied by a paddle-type top. These tools arrive pre-tuned to emit turkey sounds. Don’t try tightening the screw or shaving any wood. The only work you need to do (and don’t overdo it) is an occasional swipe with box call chalk. To use the box call, grasp it in with the pads of your thumb and fingers of your left-hand, if you’re right-handed and vice-versa if you’re left-handed. Use your opposing hand to gently grab the end of the paddle with the pads of your thumb and fingers. I’m mentioning the tips of your fingers because you don’t want to over-grip this call. With the paddle atop the call, let gravity do its work and gently slide the paddle, so it rubs the edge of the box, creating a purring sound. Use additional pressure and tempo to create “cluck” sounds. For lower pitch, move your box hand up on the call, covering more surface area, thus dampening the sound. As the name suggests, these calls emit a gobbling sound. 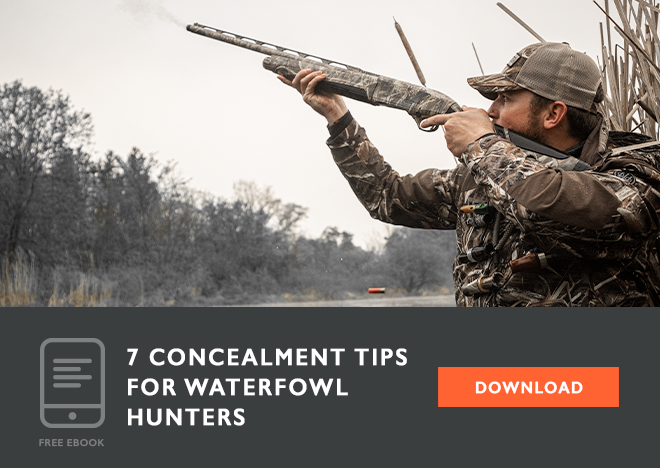 With a rubber band and a swift shake of your hand, you can use your box call for this purpose, but there are calls designed to emit the gobbler sound. These “shaker style” calls are easy for anyone to utilize. They have a tubular design with a dirham inside. Open the dampener cap to allow for air flow. Grasp the tube near the open end and shake it rapidly from side to side. When you aren’t sure where the birds have roosted, you can use locator calls. These emit sharp sound sounds that cut through the nighttime silence, shocking a tom turkey thus causing him to gobble, allowing you to locate where he is. Key locator calls are those of an owl, crow, or coyote. While owl calls are made of tubular plastic with a port to blow into, most locators are open-reed calls (similar to the top piece on a saxophone). Place them against your lips with the tip in your mouth, release air through them to emit “caws,” “yipes,” or “howls.” I’ve also found on occasion that slamming the truck door works as a locator sound. While there are other types of calls, these will get you going. Practice with them. Change the calls up as you hunt. Work the bird, whether it be a hen or a tom. Some hunters ignore the hens, solely awaiting the gobbler. Merriams aren’t the most vocal of the species, but just as with most boys, they enjoy chasing the girls. If you have a responsive hen, talking her into range may be the ticket to getting him there too. Be patient, listen, and keep your eyes open. A silent bird may surprise you.